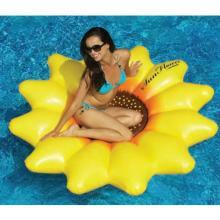 Beautiful & unique giant SunFlower lounger with authentic die cut petal design. A natural beauty! 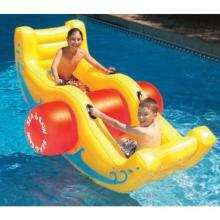 Rockin', rollin', round bottom amusement park style four kid rocker… outrageous fun! 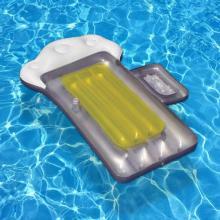 The world's favorite cocktail…now available as a pool float! Complete with a drink holder. 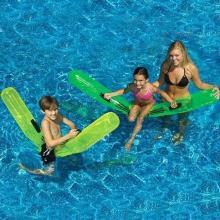 Swimline rocks your world with our awesome Sea-Saw. Rockin' cool time for all! Pretty and perfectly priced… Discover Capri. Complete with 1 cup holder. 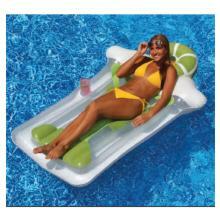 This lounger offers comfort, charm & value. 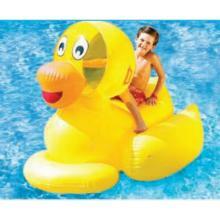 Don't try to fit this giant ducky into the bathtub… he's for swimming only. Complete with 2 handles. Cool & unique print top will be a perfect complement to anyone's backyard summer fun. 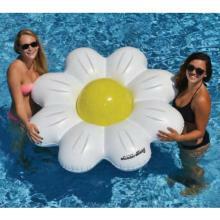 Oversized for ultimate luxury in your pool. 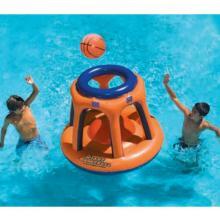 Giant inflatable multi-port, multi-score basketball. Larger than life basketball action for multiple shooters! 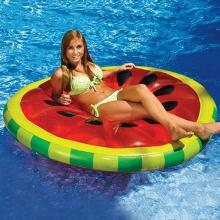 This large & stylish float includes 1 cup holder. 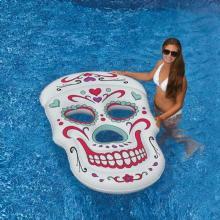 Pink bottom, clear top & metallic printing will make this item 'pop' in the pool. 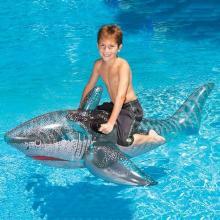 What kid wouldn't want a pet SeaDragon for the pool? 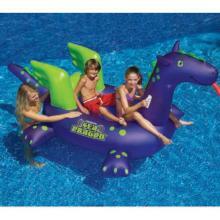 This friendly and oversized dragon is no fantasy and is sure to fire up any pool party. Equipped with 2 handles. 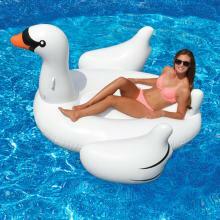 Graceful Giant White Swan looks great in the pool and is great fun to ride! A generous 75" in size. Graceful Giant Black Swan looks great in the pool and is great fun to ride! A generous 75" in size. 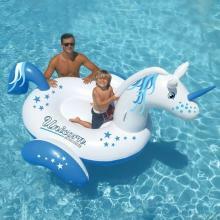 Inflatable Giant Unicorn pool float is a riot in the pool. Comfortably seats 2 people. Everything is better with a unicorn! 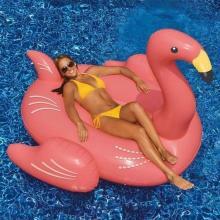 Generously sized yet graceful Giant Flamingo adds an inviting touch of tropics to the pool. 78" in size. 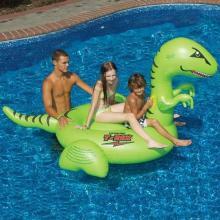 Fun and ferocious inflatable Giant T Rex Ride On is big enough for a couple of kids! T Rex is a prehistoric crowd-pleaser. 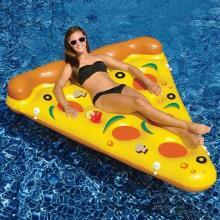 Order up a fun Pool Pizza Slice with the works! Complete with tasty pizza crust head-rest and dual drink holders. Pool Pizza Slice can be rafted up with a second slice...or more...with easy to use bungee connectors. This float really cuts the mustard! 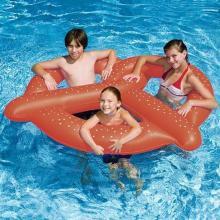 There is plenty of room for three to share this delightful giant pretzel float, guaranteed to stay crisp and salty even in the pool. 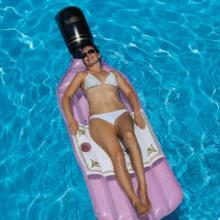 Measures 60"
Quench your thirst for fun with this awesome Beer Mug Float. Includes drink holder and magnum sized ice chest compartment. Cheers! 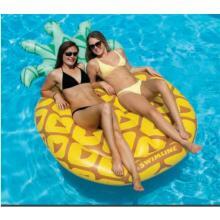 Delicious 60" inflatable slices of your favorite fruit! 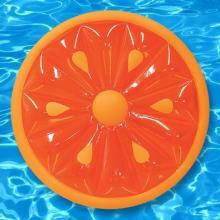 Pool time will be a slice! Nothing says "summer" better than a cool slice of watermelon! The watermelon slice is a sweet treat for all! 72' novelty item. 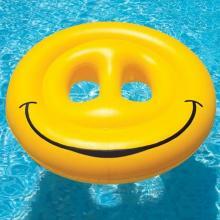 This consistent top seller will put a smile on your face! 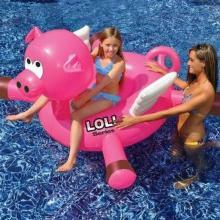 When pigs fly, that's when your friends at Swimline will stop coming up with fun and crazy toys! 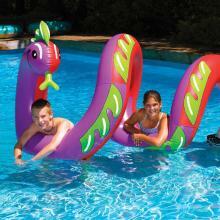 Giant inflatable, kid-friendly sea serpent! 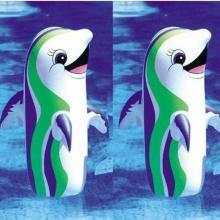 Swimline proves that two heads are better than one! Ride the serpent. 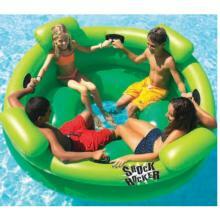 Measures 96"
The ultimate pool party toy! 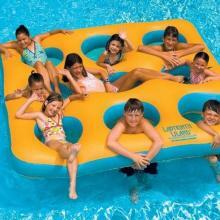 Large enough for 8, your kids and their friends will swim the day away coming up from under water and onto the island. 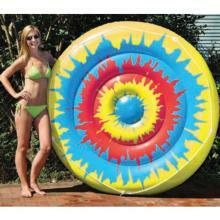 Classic style jumbo beach ball. Measures 46"
What more fun than a pool noodle? A Super Doodle of course! Bigger and better with sturdy vinyl handles.